JB office and warehousing facilities have now moved to new premises and celebrated their official opening on 29thAugust 2011. The site itself is conveniently situated on the well-established Larkin Industrial Estate which is approximately 9km from JB city centre and enjoys easy access to all the prime industrial and commercial areas. Furthermore it is also close to other important amenities such as hospitals, the main bus terminal, shopping malls, other shops, residential areas and a golf course etc. – all of which lie within a 5-7 km radius of the new JB facilities. At the present moment it is only the larger unit that is being used and this 1.5 storey building has a gross floor area of 1,948 sq. metres (20,968 sq. ft.). 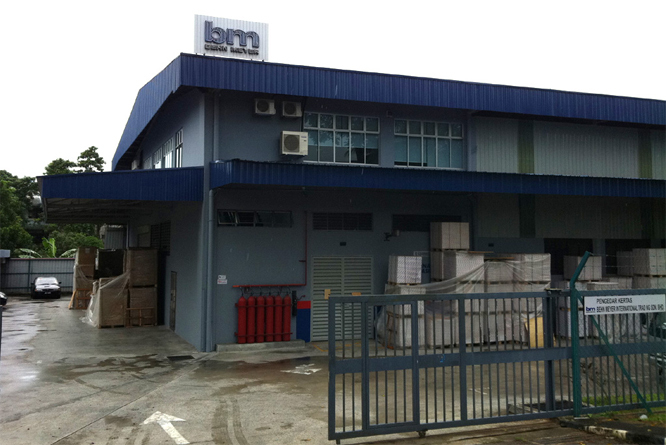 The unit has 11 staff members working there from Behn Meyer & Co. (M) together with a further 10 staff members from Behn Meyer International Trading Sdn Bhd. These include 6 office staff, 2 production workers and 2 warehouse operatives who are contractors. The smaller detached single storey unit with a gross area of 1,351.4 sq. metres (14,547 sq. ft.) is currently being rented to a customer. 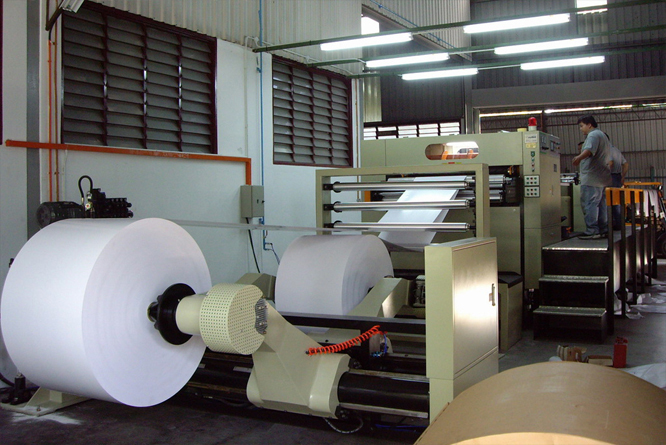 The cutting and converting machines at the factory are able to cut 55 to 450gsm paper and board. They have a maximum machine speed of 300 cuts per minute with a maximum working width of 1400mm. 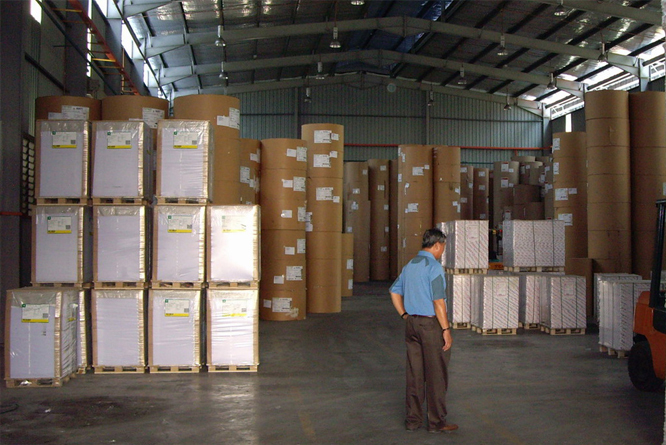 The minimum requirement for cutting is 2 rolls and, in addition to stocking all normal sizes of coated and uncoated papers, we are also able to cut to customised sizes as per the customers' requirements. Behn Meyer & Co. (M) Sdn. Bhd.